One of the new features that Nokia talked about at Build 2014 and at #moreLumia was something called Living Images. 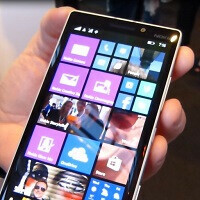 It is built into the Nokia Camera app, and initially, it will be exclusive to the Nokia Lumia 930. Living Images is a pretty cool feature that basically incorporates small capsules of video just before or after a still picture, then mixing some of that action with the still image that was captured at the point of the shutter click.